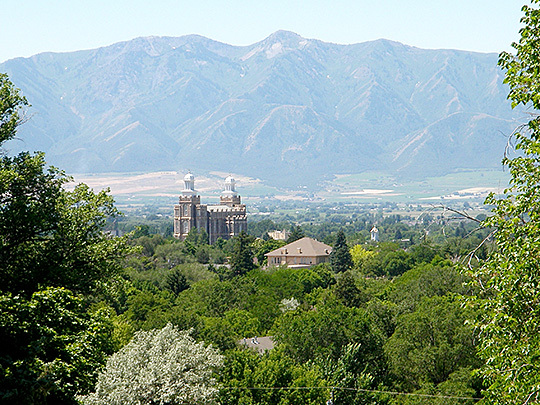 Photo: View over Logan, Utah (the seat of Cache County) and the LDS Temple from Old Main Hill on the Utah State University Campus. Listed on the National Register of Historic Places in 2009. Photographed by user:Nile Dean Meservy (own work), 2010, [cc-by-3.0 (creativecommons.org/licenses/by/3.0)], via Wikimedia Commons, accessed September, 2013. The Cache County Courthouse is located at 120 North 100 West, Logan, YT 84321; phone: 435-716-7171. Cache County administrative offices are located at 179 and 199 North Main Street, Logan, UT; phone: 435-755-1850. The area that would become Cache County was settled beginning in 1855. The county was officially organized in 1864.